❚ THE PRIVATE PERSON TOM NEUWIRTH was born in Austria in 1988 and the art personality Conchita Wurst in 2011, the same year Tom graduated from the Graz School of Fashion. 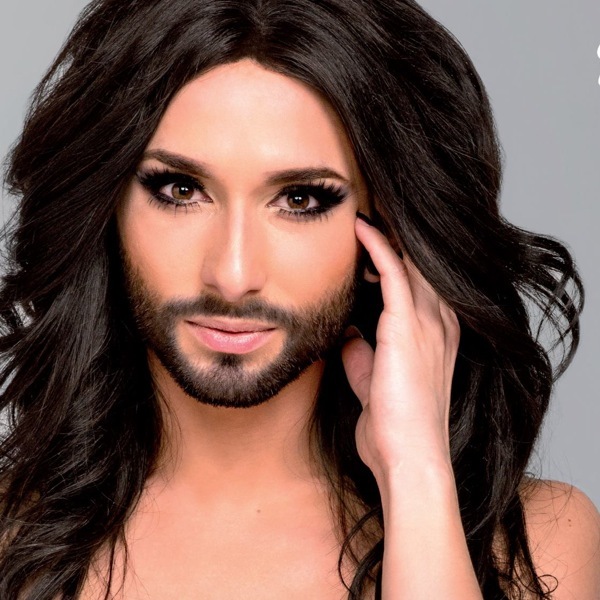 In last night’s second semi-final of the Eurovision Song Contest, the bearded drag performer Conchita won her place to represent Austria in Saturday’s final by singing what could pass gloriously as a Bond theme, Rise Like a Phoenix. Ms Wurst answered her critics: “I can only say ‘Thank you for your attention’. If this is only about me and my person, I can live with it. I’m just a singer in a fabulous dress, with great hair and a beard. HOT UPDATE MAY 10 – CONCHITA WINS!!! 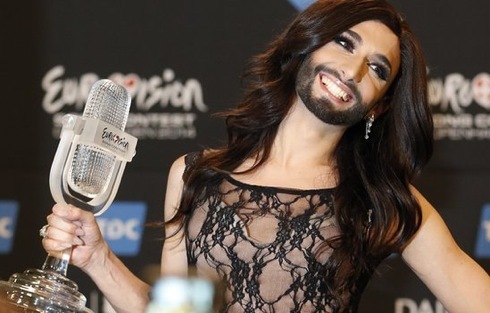 This entry was posted in Europe, Media, Pop music, Social trends, TV and tagged bearded lady, Bendan O'Connor, Conchita Wurst, Eurovision, Roten Stuhl, sexuality, song contest, Tom Neuwirth, Video, Vitaly Milonov. Bookmark the permalink.